The daily life of photosynthetic plants revolves around sugar production, transport, storage and utilization, and the complex sugar metabolic and signaling networks integrate internal regulators and environmental cues to govern and sustain plant growth and survival. Although diverse sugar signals have emerged as pivotal regulators from embryogenesis to senescence, glucose is the most ancient and conserved regulatory signal that controls gene and protein expression, cell-cycle progression, central and secondary metabolism, as well as growth and developmental programs. Glucose signals are perceived and transduced by two principal mechanisms: direct sensing through glucose sensors and indirect sensing via a variety of energy and metabolite sensors. 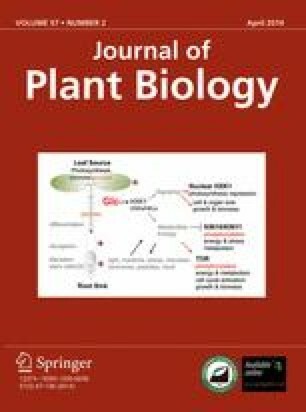 This review focuses on the comparative and functional analyses of three glucose-modulated master regulators in Arabidopsis thaliana, the hexokinase1 (HXK1) glucose sensor, the energy sensor kinases KIN10/KIN11 inactivated by glucose, and the glucoseactivated target of rapamycin (TOR) kinase. These regulators are evolutionarily conserved, but have evolved universal and unique regulatory wiring and functions in plants and animals. They form protein complexes with multiple partners as regulators or effectors to serve distinct functions in different subcellular locales and organs, and play integrative and complementary roles from cellular signaling and metabolism to development in the plant glucose signaling networks.